There’s a lot of talk among homesteaders about the idea of creating a homestead that provides enough income to support yourself and your family. Many of us want to quit our day jobs and work on our farms and make enough income to live by. And while that dream is alive and well- and totally achievable- what I am talking about today is a self-supporting homestead. It’s a homestead that costs you nothing to run. It’s a homestead that provides the means and/or the funds to feed your animals, fence your land, grow your food, and anything else that may come your way in terms of expenses. So how do you create a self supporting homestead? Here are 5 tips to get you started. Now the chances of you being able to grow and raise EVERYTHING you need to run your homestead is probably pretty slim (though it’s definitely a goal you could work toward!) So somehow you will need actual money to pay for certain aspects of your homestead. This means you need to create multiple income streams from your homestead. There are 100+ Ways to Make Money from Your Land and any number of them can add up to money to support your animals or gardens. 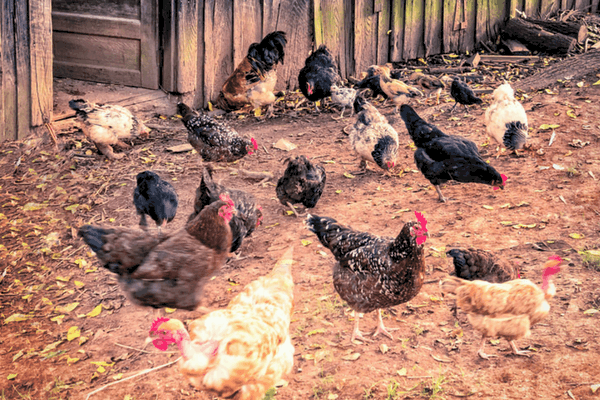 For example a good sized flock of laying hens (say 20-25 hens) would consume about a 50 lb bag of feed per week and provide 8-9 dozen eggs per week. Now more than likely that is WAY more than your family can consume. So you have ~3-4 dozen eggs per week excess you can sell. We sell our chicken eggs for $3.50- so $10-14 per week in egg money- which covers the cost of the 50 lb bag of feed. You can add these small income streams in a lot of areas- or even just focus on one- and soon enough your feed bill is completely covered by things you can sell from your homestead. Waste not, want not, right? Part of creating a self supporting homestead is to use up EVERYTHING. It means fix what is broke. Use up excess. And make do with what you have. We currently dropped selling at the local farmers market, but didn’t reduce the amount of quail. ducks, and chickens we own. This means we have a lot of extra eggs around. And while we do sell enough to cover most of the feed bill- we still have quite a bit on the counters. So what do we do with the ones we don’t sell and can’t eat? We use them to reduce the cost of the feed bill in other animals. The dogs get eggs mixed with their food often and we are turning eggs into bacon by feeding the pigs a LOT of hard-boiled eggs! This is a good way to use up a lot of excess- whey from cheese making, extra milk, spoiled food, etc. Anything that can’t be used or sold can be re-purposed back into the homestead. When it comes to adding to your homestead- everyone needs to do their part in the work. All animals should serve a purpose- and not just be a lawn ornament. When planning your homestead and creating goals for the coming months and years– you need to think hard about what you are adding- and if the current residents are pulling their weight. I read a paragraph in Joel Salatin’s book, You Can Farm, once. It said something along the lines of never doing anything an animal can do for you. And this is true. Let the pigs plow. Let the chicken pick bugs and pick up dropped orchard fruit. Let the cows, sheep, and goats mow the grass. Make them work and pay their own way. If they aren’t pulling their weight and they are costing you money. It’s time to rethink some things. You can plant a chicken garden to reduce feed expenses. You can plant an entire garden plot just for animal feed. You can also grow herbs for natural medications for your animals (and yourself). We grow wormwood as a natural parasite control for our goats and chickens. You can also grow and feed a variety of plants to help give your goats (and other livestock) their needed vitamins and minerals. And even though I am mostly talking about the cost of livestock, don’t forget that your garden can cost you money too. By growing heirloom, open pollinated seeds you will be able to “grow” your own seeds and prevent the expense of buying new seeds each year. When looking at your homestead budget you should always be looking for ways to save money and reduce your expenses. One of the biggest ways to help create a self supporting homestead is to cut expenses in other areas of your life as well. Keeping a good budget for food, fun, and life will go a long way in keeping your overall expenses down. But when speaking strictly about homesteading expenses there are many ways to cut costs. You can get a variety of gardening supplies for free. You can amend your soil for free. When it comes to livestock- many animals, especially grazers and browsers, their diets don’t necessarily need supplemental grain. If you have a large pasture most livestock will do just fine on a grass-only diet for at least part of the year. Be resourceful and imaginative when it comes to additions to you homestead. 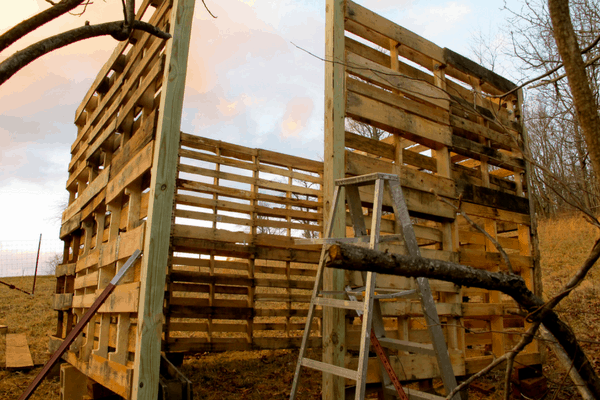 Can you use recycled pallets for your projects? Can you build a less expensive shelter? Another Joel Salatin Quote for you. This one says: The cows don’t care if the gates are crooked or the fence boards aren’t perfectly square. All that matters is function. We can’t get so bogged down by form that we never get around to function. So- get the job done. Make it functional. Even if it’s not pretty or perfect (aka. usually more expensive) if it is functional, the job is done. What would you add to this list? How do you reduce the costs of your homesteading lifestyle? Are you close to creating a self supporting to homestead that pays for itself and then some? I am assuming that your chickens eat 50 lbs a week…surely not a day? Do you feed this much feed on top of free ranging or are the contained so need more feed? I have about 25 and we go through about 50 lbs a week, since they are now contained, but when they were free ranging it was about half that. BTW, I love your site! Yes! I totally meant 50 lbs a week! Thanks for pointing out the error. Yes, when they were 100% free range, it was less in feed, but now that they are in a run, they eat more in grain. Thanks!